Almost done. 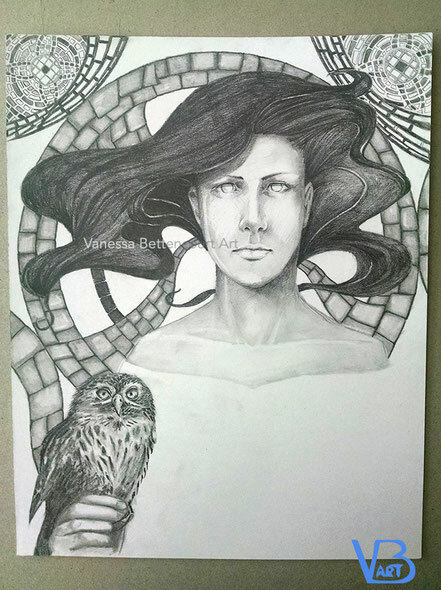 Need to render the stain glass and her robes. Maybe will finish tomorrow. I really love her expression and the motion of her hair in contrast with the mosaic that does not imply any sort of movement, but heaviness instead. I should have started with the background, but I wasn't sure if I was going to draw her against open sky or not. I'm pleased with the result so far.